On the comeback trail after an injury-abbreviated first season…transfer from St. Mary’s University was FSU’s No. 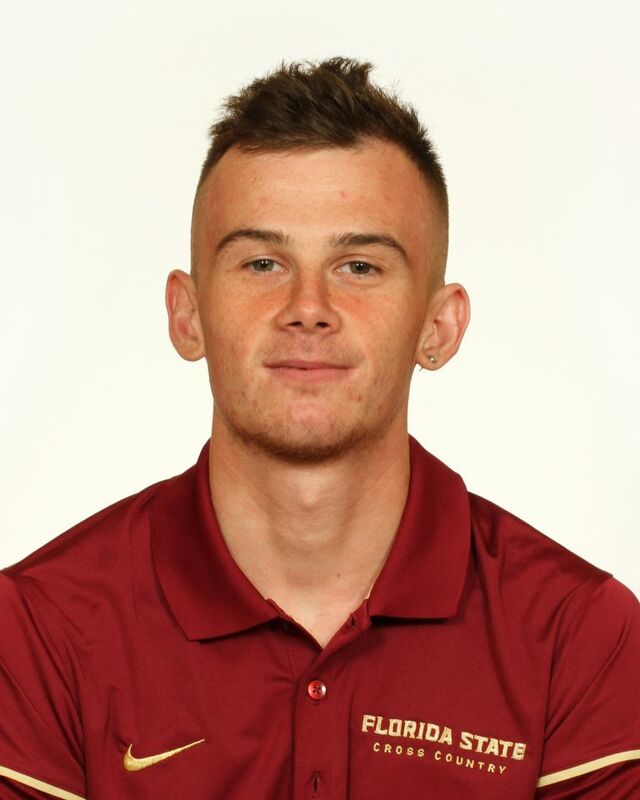 2 runner early in the 2016 cross country season before he was felled by injury…latest in a long line of British distance standouts for the Noles…should be factor near top of the lineup by the time the championships season rolls around…has two years of track & field eligibility remaining. Cross Country: Returning to action following December 2016 surgery, competed in seven meets…gained strength over the course of the year…was fourth at the FSU Invitational…finished 47th at the ACC Championships with collegiate 8k best of 24:30.2. Indoor: Did not compete. Outdoor: Lined up eight times in the spring…strongest showing came in 5000 at Bryan Clay Invitational (14:18.15, 16th)…two weeks later dropped his NCAA collegiate-best in the 1500 (3:48.57) for second place at the Seminole Twilight…doubled in the 1500/5000 at the ACC Outdoor Championships. Cross Country: Was the Seminoles No. 2 finisher in three of the first four meets before injury cut short his season…finished fourth in debut at Covered Bridge Open and fifth overall at adidas XC Challenge (18:12.4, 6k), helping the Noles to victory…was runner-up at FSU Invitational, which earned him ACC Performer of the Week honors…underwent surgery, which kept him out of the indoor and outdoor track & field seasons. Indoor/Outdoor: Sat out the season due to injuries sustained in cross country. Enjoyed his finest season on the track in 2015, posting personal-bests of 13:55.27 for 5000 meters, 8:06.23 (3000) and 3:44.02 (1500)…finished third in the 5000 at the England Athletics U23 Championships…breakthrough came in 2013 cross country season…was runner-up at English National Championships in February and followed with a 37th-place showing at the IAAF World Junior Cross Country Championship representing Great Britain…carried momentum over to the track with a fourth-place finish in the 5000 at the 2013 European Junior Championships…also won the English Schools 3000m title…closed out the calendar year placing 22nd at the European Junior Cross Country Championships in Serbia.and 37th at the World Junior Cross Country Championships. Studied business management at St. Mary’s University…enrolled in sport management program at FSU…competed at the club level for Shaftesbury Barnet…got his first taste of competitive running at 15…in addition to running also played the trumpet…born Sept. 1, 1994.